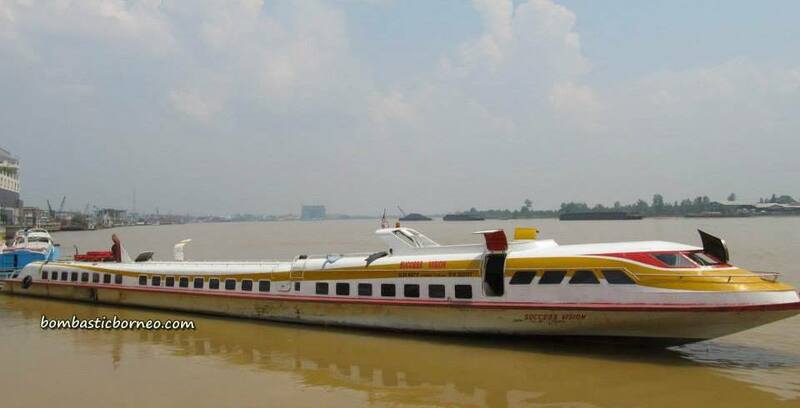 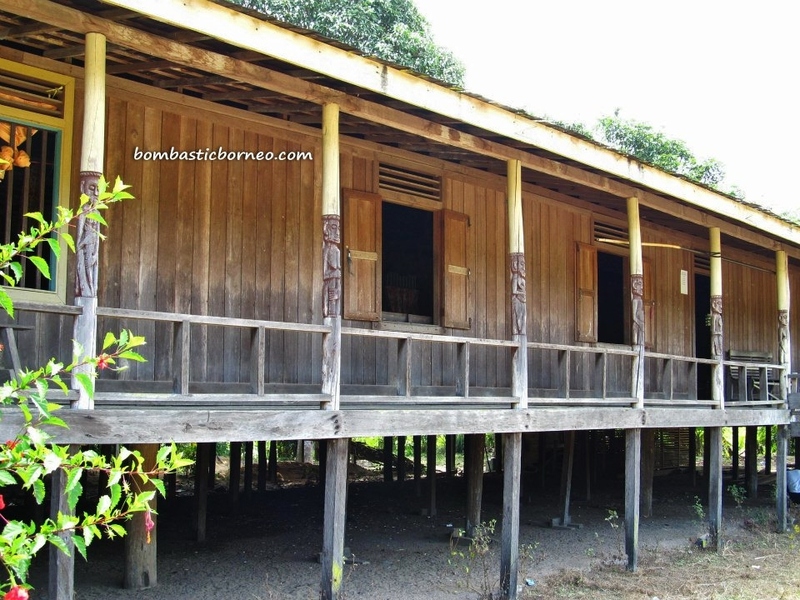 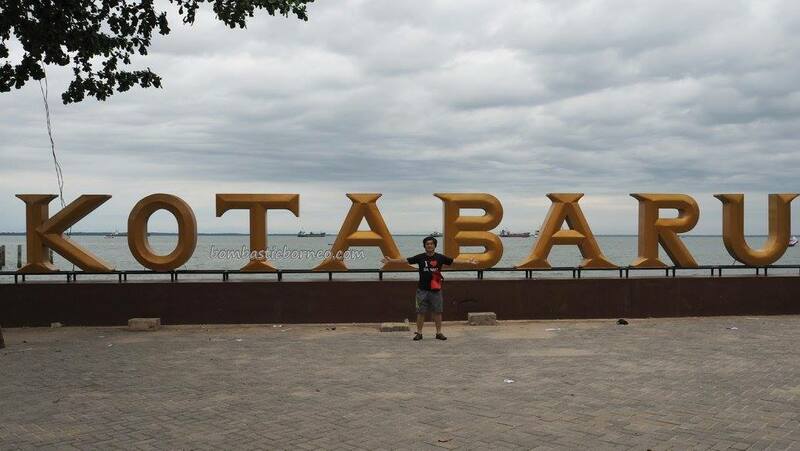 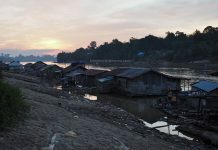 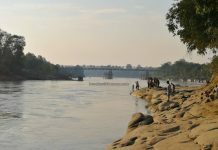 Location : Kecamatan Jempang, Kabupaten Kutai Barat, Kalimantan Timur, Indonesia. 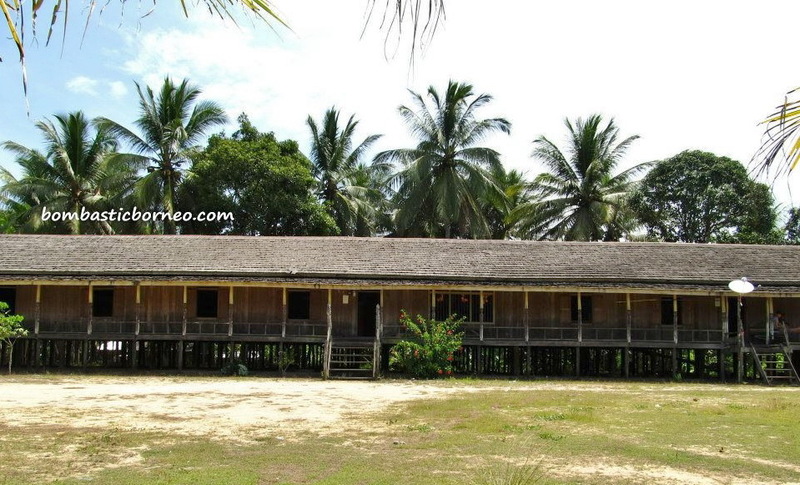 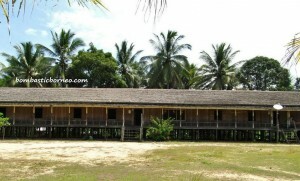 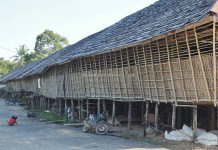 On the way out from Tanjung Isuy we were attracted by this fresh looking and very long longhouse. 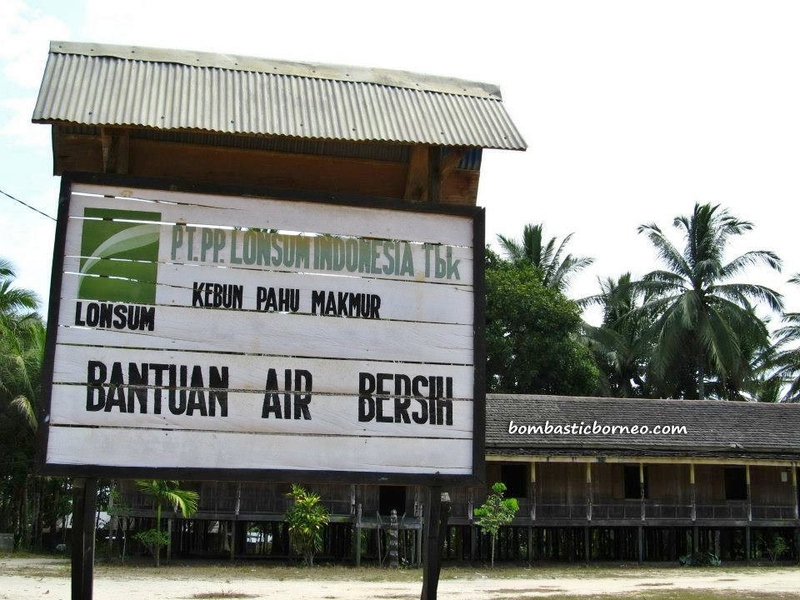 Made a quick stop just to snap some photos and discovered from the signboard it was more of a ‘housing estate’ for the oil palm estate workers. 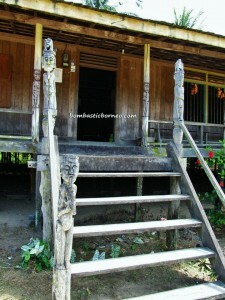 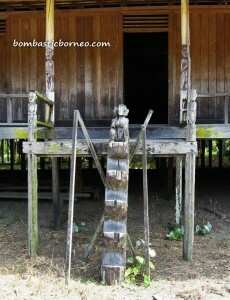 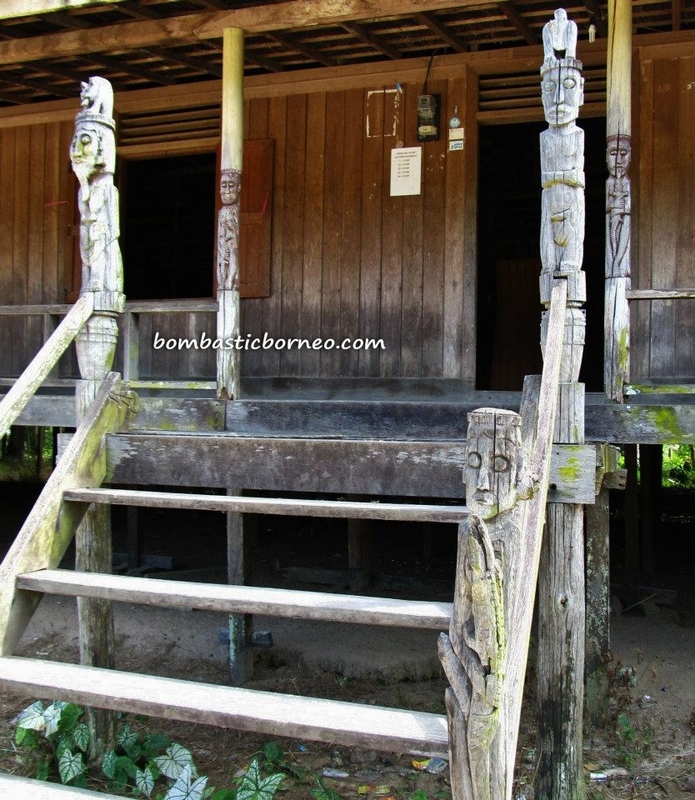 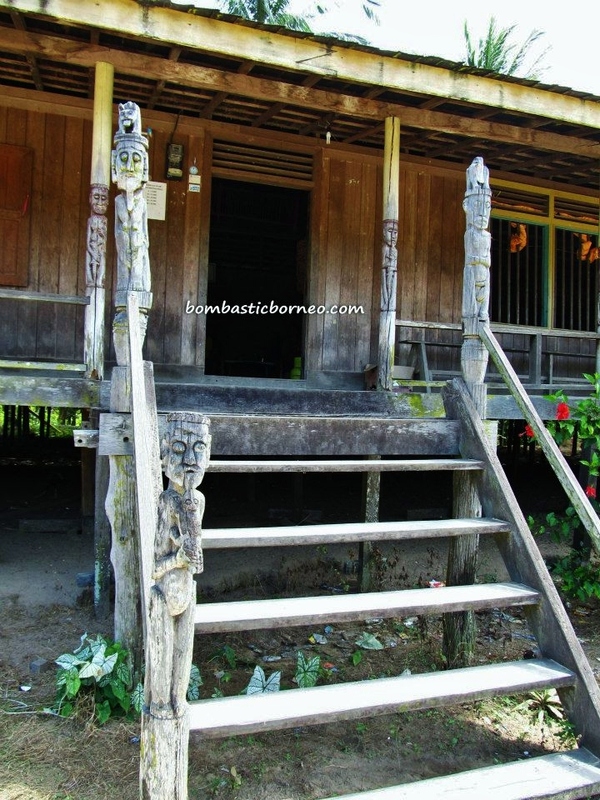 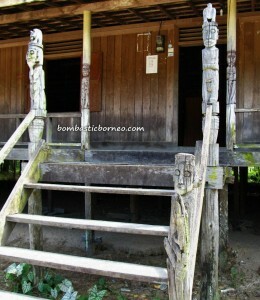 Even that does not stop the locals from beautifying each and every post in the longhouse with carvings.